Aims/hypothesis. The aim of this study is to investigate whether apoptosis in human beta cells can be related to the induction of the tumor necrosis factor-related apoptosis-inducing ligand (TRAIL) pathway. Methods. 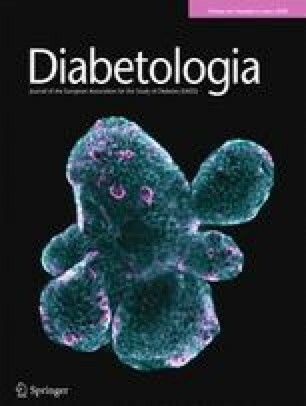 We examined the expression of TRAIL and TRAIL receptors in two human pancreatic beta-cell lines and in human primary islet cells using RT-PCR assays and flow cytometric analyses and tested TRAIL-mediated beta-cell destruction in 51Cr release cytotoxicity assays, Annexin-V and APO-DIREC assays. Results. Most of the human beta cells express TRAIL receptors-R1, -R2, -R3, -R4 and/or TRAIL. TRAIL induced much stronger cytotoxicity and apoptosis to beta-cell lines CM and HP62 than did FasL, TNF-α, LTα1β2, LTα2β1, LIGHT, and IFN-γ. The cytotoxicity and apoptosis induced by TRAIL to beta-cell lines CM were inhibited competitively by soluble TRAIL receptors, R1, R2, R3 or R4. Treatment of these beta cells with antibodies against TRAIL receptors was able to block the cytotoxicity of TRAIL to these cells. Beta-cell antigen-specific CTL (CD4+ and CD8+) clones express TRAIL, suggesting that these cells are potential sources of TRAIL-inducing beta-cell destruction. Normal primary islet cells from most donors are resistant to the cytotoxicity mediated by TRAIL. However, treatment with an inhibitor of protein synthesis (cycloheximide) or with an enzyme (PI-PLC) that can remove TRAIL-R3 from the islet-cell membrane was able to increase the susceptibility of TRAIL-resistant primary islet cells to the TRAIL death pathway. Conclusion/interpretation. The TRAIL death pathway is present and can function in human islet beta cells, but unidentified inhibitors of the TRAIL death pathway are present in normal islet cells.